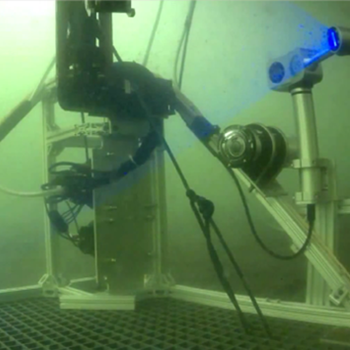 Underwater robots makes the difficult less dangerous. Robotics in the workplace is often tasked with jobs that are dangerous for humans. And underwater maneuvering is a logical application. BluHaptics is a robotics software company based in Seattle, Washington. They are commercializing software developed through research done at the University of Washington. The software provides operators a 3D visualization of computer controlled systems that do dangerous work such as undersea cutting and welding. Read more about BlueHaptics on page 11 of Seattle Business Magazine online and in Geekwire. Washington State is a pioneer in advanced manufacturing and robotics is a big player. From drones and precision aircraft assembly to systems control and automation across industry sectors, Washington State companies are improving the efficiency, safety and precision of manufacturing processes.